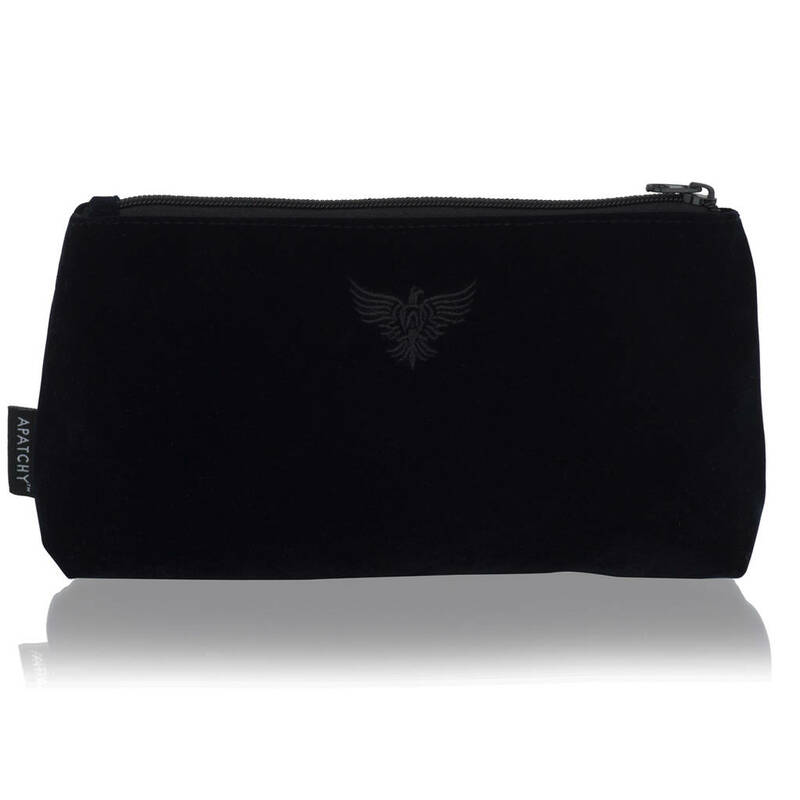 A popular choice to store makeup and cosmetics, this makeup bag is slightly larger than our smaller pouch and makes a chic and dependable travel companion. 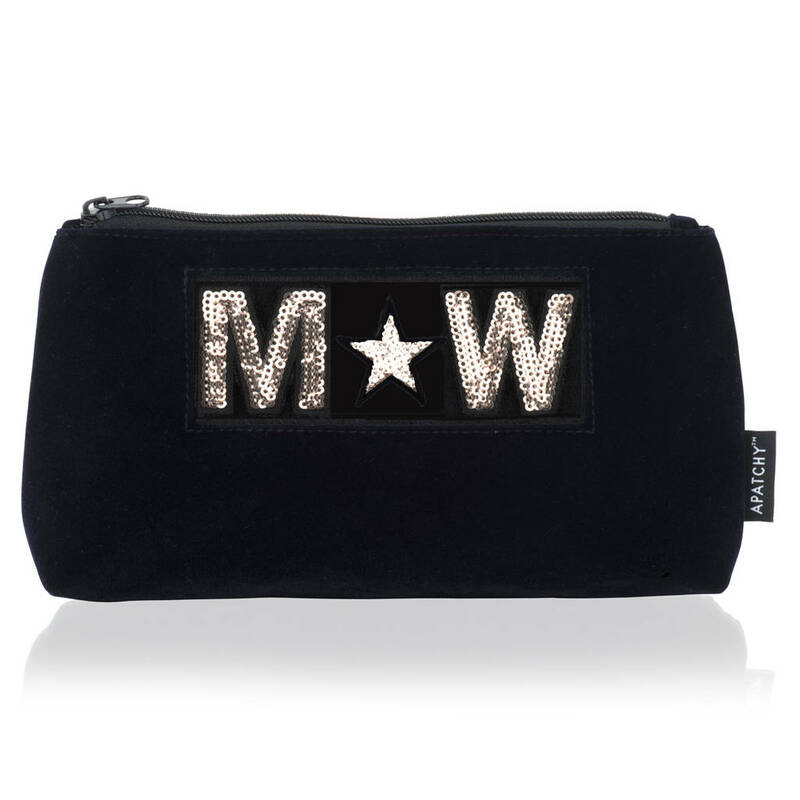 Shop the brand new midnight navy velvet pouch – the perfect gift for her. 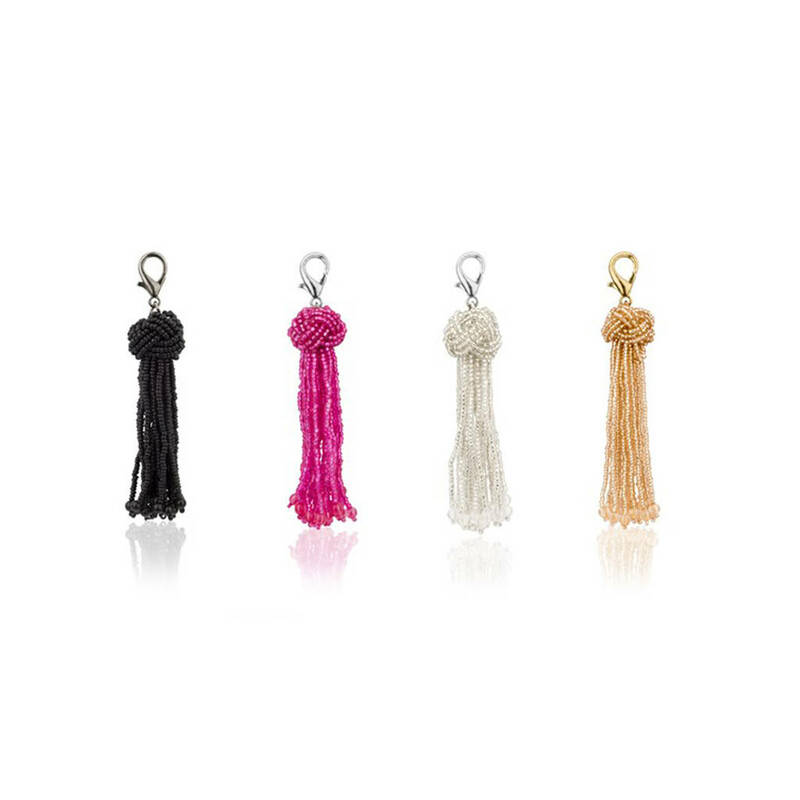 Whether perched on your dressing table or packed in a carry-on, this pouch was made to be both fun and functional. Can be personalised with 3 patches. Our micro gripper patches are now 30% smaller than ever before offering a more discerning and exquisite look. 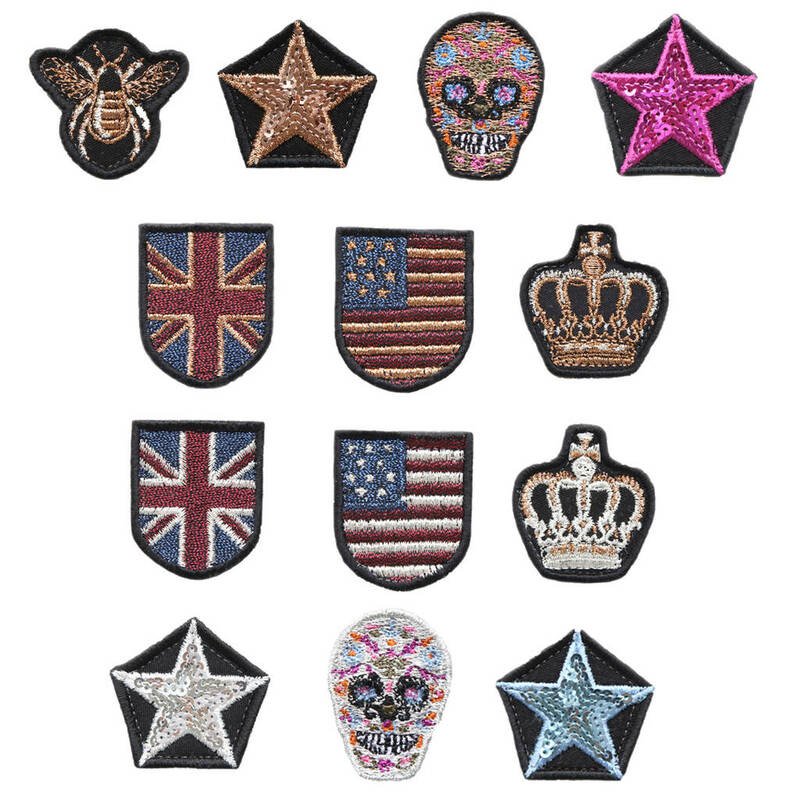 Choose from our gold or silver sequin letter patches and motifs. This pouch can be instantly personalised with Apatchy’s exclusive gripper patches. The patches are individually packaged and sent with the bag, ready to be gripped on to the style area, by you, (no gluing, stitching or ironing required!). All letters and patches are backed with Apatchy's innovative 'micro-gripper' (similar to 'Velcro') to give a secure and streamline attachment.